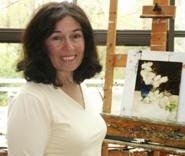 Kathy Anderson has been awarded Master Signature Member status by Oil Painters of America. Congratulations to Kathy Anderson on this well deserved award. Oil Painters of America is one of the premier national organizations dedicated to preserving and promoting excellence in representational art, Oil Painters of America’s primary mission is to advance the cause of traditional, representational fine art by drawing attention to the lasting value of fine drawing, color, composition and the appreciation of light. To read the full article, click here.